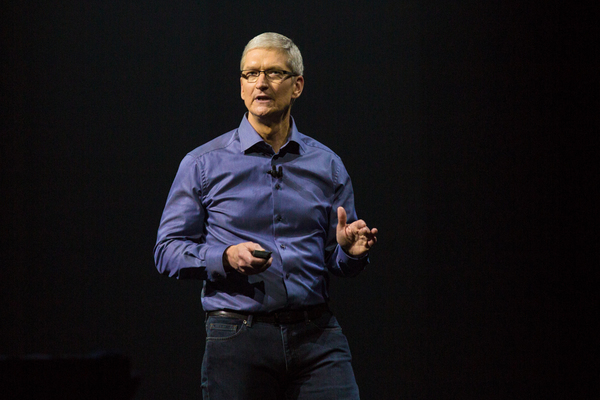 "It's been an incredible year for Apple. We're really firing on all cylinders. And we're about to make some monster announcements across several of our product lines." "No time for updates. I'd like to get right in and talk about Apple Watch." 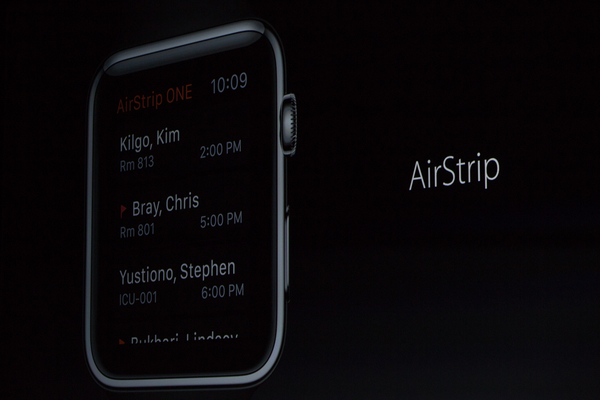 Apple Watch: here we go. This just went on sale end of April. 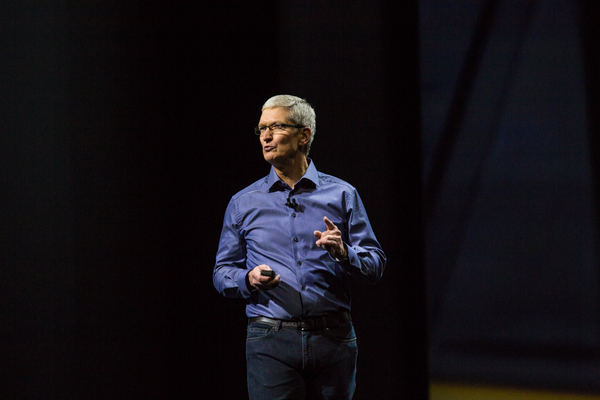 "Just a few months ago, we made Apple Watch available to our customers around the world. It's already changing their daily lives and they love using it. they love how quick and easy it is." "They're amazed at how Siri on the watch lets them do so much with just their voice." 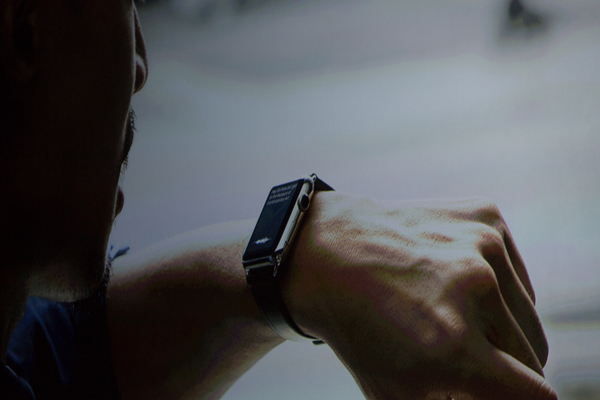 "With Apple Pay customers are loving they can purcahse directly form their wrist. And Apple Watch is helping our users live a better day." "In fact we've been flooded by emails." Apple Watch: seems like most people I speak to use it for fitness first. 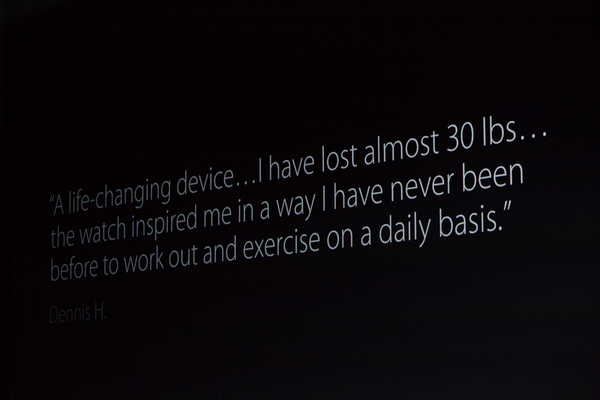 "For many people like Dennis, the Apple Watch has been life changing." 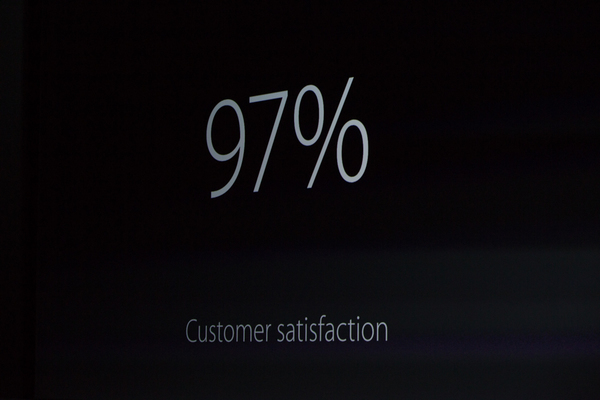 "Customer satisfaction is an incredible 97%"
"Now despite just launching the watch a few months ago, we are on an incredible pace of innovation. To tell you about where we're going next, I'd like to invite Jeff Williams to the stage." 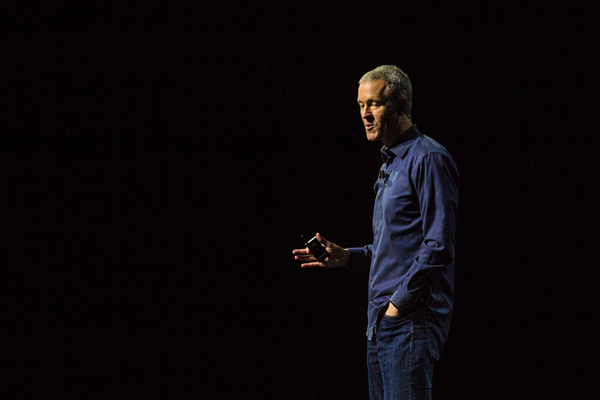 Jeff Williams will detail the Apple Watch changes. 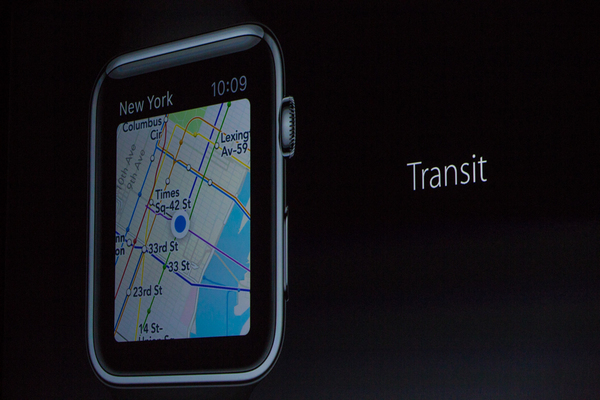 Wiliams says: "There are new watch faces like this beautiful one with time transit and third party complications. This is a big deal. It's a really powerful thing to be able to glance at your wrist and see the information important to you." "You can see more like the latest news or your flight departure. And time travel to fuse ahead." "We're adding transit to Maps to make it easier to find and use public transportation." 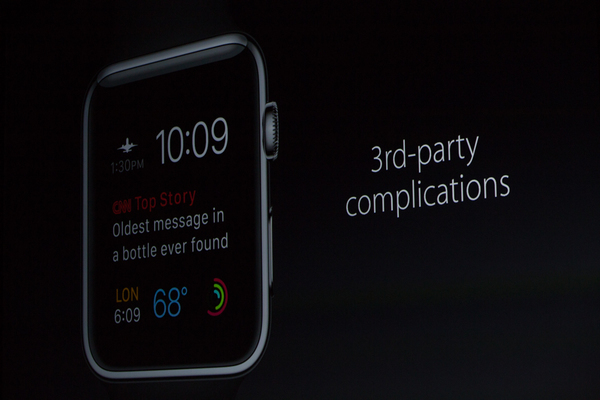 3rd party complications will knit in info beyond the set details on Apple Watch now: flight departures, tweets, etc. And Digital Crown will go back and forth in time to see schedules (Time Travel). 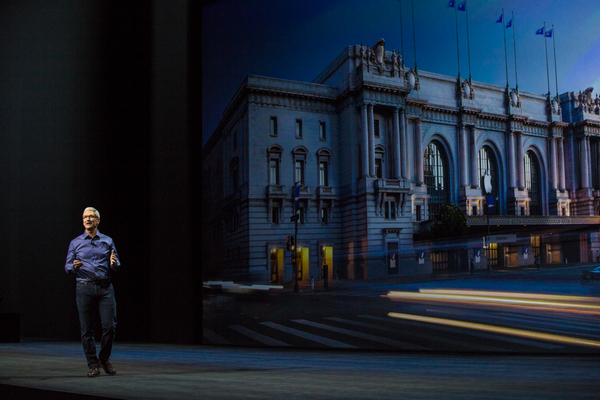 This is recap: we knew this about WatchOS 2. "Now in addition to these and other built-in features, developers have been hard at work. 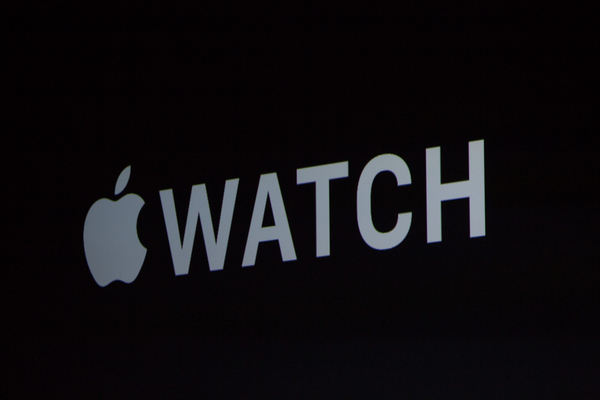 There are already 10,000 Watch apps in the app store." That's HUGE. Android Wear has about 4,000. Samsung Gear has about 3,000. New Samsung round watch will launch with about 1,000. 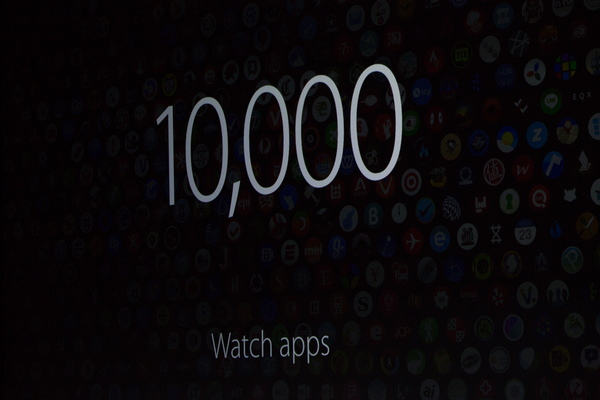 10,000 watch apps is a lot. But now, native apps will arrive: can display video, access hardware, use mikes or speakers, sensors. 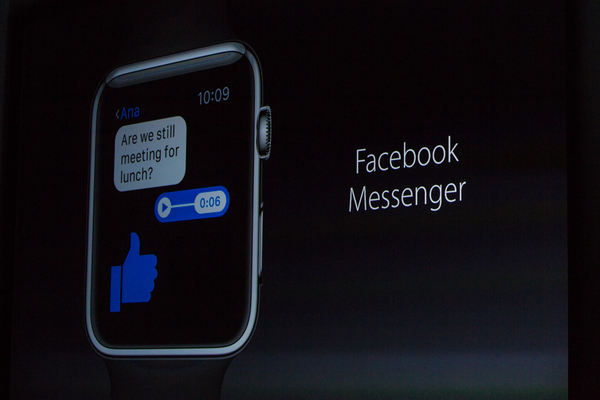 Facebook Messenger is coming to the watch. "iTranslate .. just speak into the microphone and see and hear translations in over 90 language." "And GoPro. The app turns your watch into a viewfinder. No matter where your camera is mounted, you'll always know where it's pointed." Facebook Messenger on the watch. 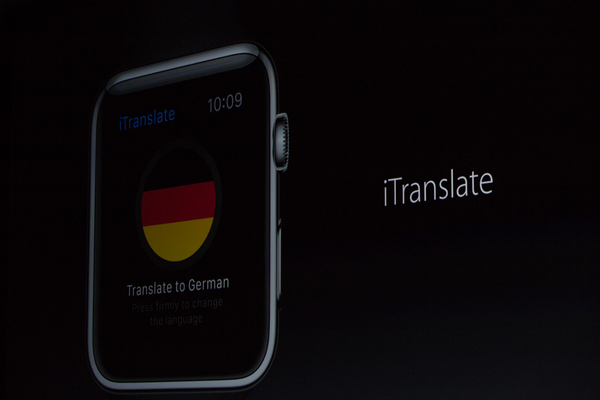 iTranslate, too (90 languages). 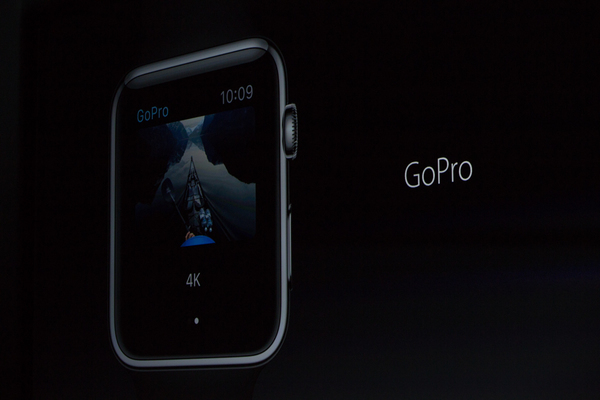 and GoPro, a remote app viewfinder. AirStrip app being demoed now. Health care app for Apple Watch.